Christmas videos can provide us with some of the best brand content we are likely to see in any given year. 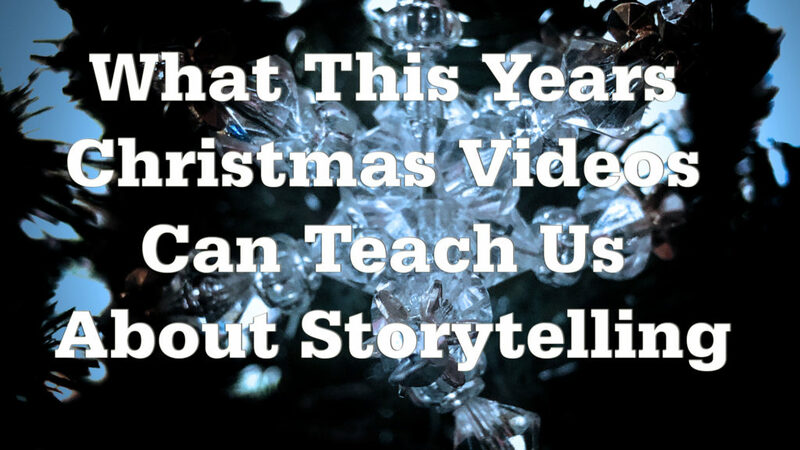 At the heart of the most successful Christmas videos is great storytelling. Not every brand has a large budget available to it, so what can we learn about storytelling from some of this years most successful brand videos. What can we learn from their Christmas Advert this year? The answer, is that good old fashioned sentimental storytelling will resonate with your audience. We can all identify with the child who got a gift that changed their life. We all know people who have followed a path in life because of something they were exposed to as child. This is a controversial video which was banned from UK TV that went on and became a viral hit. The reason it was controversial was it had a political message about the destruction of the rain forest. What can we learn from this advert is that it is okay to embrace an uncomfortable subject if the storytelling is done in a sympathetic way that your audience can empathize with. Who does not like a story about Santa’s reindeer? This year the McDonald’s seasonal treat taps into our nostalgia and love of a traditional Christmas. This Christmas advert teaches us that if we tell a story that our audience are very familiar with and add our own contemporary hook, we will get their attention. This Christmas advert introduces a new Argos character called the “Christmas Fool” whose sole purpose is to mess up Christmas. The “Christmas Fool” travels around trying to mess up everybody’s Christmas. Argos’s Click and Collect system foils his every attempt. This Christmas advert delivers a message by creating a central character we can identify with. We immediately identify with the problem and the solution offered. The advert tells a story but stays on message at all times and has proved to be popular. This Christmas video taps into a tradition beloved by many. The idea of a Secret Santa always adds fun to Christmas. This video highlights a number of situations where having a Secret Santa brings a smile to peoples faces. The video shows that by tapping into a popular idea you can build a story around it that people will embrace. Use your storytelling to show how people can do something that matters even if it is only to put a smile on someone’s face. Aldi produce some of my favorite Christmas videos because they have created a character “Kevin the Carrot” which they develop year on year giving him more personality. What this video teaches us about storytelling is that creating a character is important. Your audience needs someone they can identify with and they need to care about that character. They need to be emotionally invested in the characters journey. The key to the most successful Christmas videos is the ability to tell stories people will be able to relate to. Successful storytelling is being able to find or create story characters that an audience will engage with. The most successful brand storytellers, make sure they craft their storytelling in such a way as to make their audience relate to their message and give it a seasonal spin. Posted in Video Content and tagged brand storytelling, brand video, Christmas storytelling, storytelling, video on December 14, 2018 by admin.